The surfactants in car wash cleaners, like most cleaners work with the water to remove soils from your vehicle’s different surfaces. These surfactants have a charged head and a neutral tail. The charged head interacts with water, while the neutral tail will not. This helps get the soils off the vehicle and into the water to be rinsed away. Different surfactants work better with different types of soils. A typical car wash cycle uses a three-step cleaning process. An alkaline soap goes on first. Alkaline soaps are similar the lye-based soaps many people use daily in the tub or shower. Alkaline soaps have a high pH and are effective in removing tar, oil, sap and general dirt. If the alkaline soap won’t remove something on a vehicle, chances are the acid soap will. Acid soaps are effective at removing organic material such as bugs. 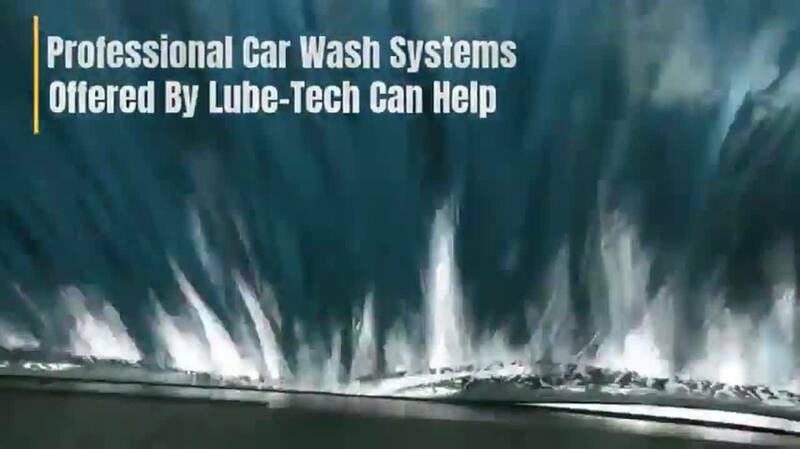 Last comes a neutral wash which ensures everything on the vehicle is back down to a neutral state and there are no ionic charges on the vehicle. The neutral wash is an actual detergent, like dish soap. Getting the vehicle clean is the goal, but an equally big concern is ensuring car wash soaps are safe to use on all vehicle surfaces. Some paints, coatings and aluminum wheel treatments can be damaged by certain kinds of chemicals and many newer fleet vehicles and semis are using new, modern coatings to protect components such as aluminum wheels. If the car wash chemist and his/her choice of surfactants and detergents have done their job, these three steps should leave that winter’s worth of dirt, grime and salt (as well as any other combination of road contaminants) on the car wash floor and the vehicle showroom clean.